This webinar will examine what the data says has happened nearly 18 years after that decision. 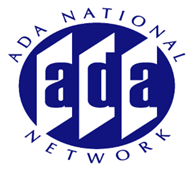 The Americans with Disabilities Act Participatory Action Research Consortium (ADA-PARC), a federally funded research project examining participation disparities experienced by people with disabilities post ADA & Olmstead has assembled nationally recognized speakers to present the issue in four ways. Dr. Charlene Harrington will review the Online Survey, Certification and Reporting (OSCAR) data and its replacement, the Certification and Survey Provider Enhanced Reporting (CASPER) system - administrative databases of the Centers for Medicare and Medicaid Services (CMS) that support the survey and certification function of institutions. She will also review the CMS Nursing Home Compare 5-star rating system and its available quality information on deficiencies, staffing and quality measures. Medicaid long-term services and supports (LTSS) have undergone a profound transformation over three decades from an almost exclusive emphasis on institutional services to the current reality in which home and community-based services (HCBS) are a majority of LTSS expenditures. States continue to improve their LTSS systems to reflect individuals’ preferences for community living. Steve Eiken will examine the evolution of Medicaid LTSS and present the latest available data on Medicaid LTSS expenditures and beneficiaries. Dr. Carol Irvin will present the latest findings from the national evaluation of the MFP demonstration, a Medicaid program that seeks to help states develop and strengthen approaches to transitioning people from institutional to community-based care. Using data reported by the states and from national Medicaid and Medicaid administrative data, she will provide information on how the MFP demonstration has grown, which beneficiaries participate, and the types of outcomes associated with the demonstration. A key focus of the evaluation has been to determine whether MFP demonstrations are transitioning people who would not have transitioned otherwise and what their post-transition outcomes are like, particularly how the quality of their life changes after moving to the community.